Convenient location just 7 minutes from the Christchurch International and Domestic airports and just 5 minutes to Christchurch Railway Station. Belle Bonne Motel also offers car storage for paying guests while they travel away for just $3 per night. 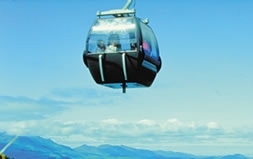 Close to local attractions, Air Force Museum, the International Antarctic Centre, Riccarton Market and the Riccarton Racecourse. 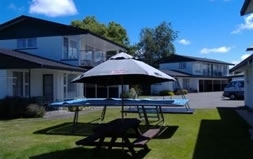 The Bush Inn Shopping Centre and Westfield Mall are also close to our motel as well as the Canterbury University and Teachers College. A perfect location for business or pleasure, your host Elizabeth welcomes you to the Belle Bonne Motel. 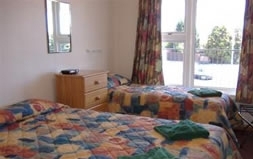 We take pride in offering a high standard of comfort, quality and full self-contained accommodation in a garden setting. Belle Bonne Motel can accommodate your individual needs perfectly. Belle Bonne Motel comprises 10 units - 6 ground-floor units and 4 upper-floor units. 4 x 1-bedroom units that sleep up to 4 people, 6 x 2-bedroom units that sleep up to 7 people. Full kitchen facilities in all units. Stove and microwave, Sky TV, heating, radio/alarm clocks, smokefree units. Serviced daily. Electric blankets 32-inch LCD TVs in ALL UNITS. Let us secure a rental car for you at a good price! Car Storage Just $3 per night. Traveling away for a few nights or weeks and want to avoid expensive car parking storage? Stay at the Belle Bonne Motel and receive storage for just $3 per night. Long stay rates? Ask us for a quote.